Come All Ye Faithful to our Slovak Christmas Hymn-Sing. On December 2, 2018, the first Sunday of Advent, SHSNEPA held the St. Nicholas Hymn Sing at Our Lady of Fatima Parish Center, St. Mary's Church of the Immaculate Conception in Wilkes-Barre. We are extremely happy to host the annual Slovak Christmas Hymn Sing Along. This hymn sing provides us with the opportunity to sing some of our Slovak hymns that we don't sing anymore in our church services. We have been told how much people appreciate this hymn sing and the fellowship with others. We pray we can continue this tradition for many more years. The story GOD’S GIFTS TO THE SLOVAKS tells us God dipped His finger into the water in Paradise’s well and from there He took the most harmonious songs. “I am giving you the most beautiful songs in the world. When your young girls sing, the birds will stop singing, the stream will chatter, and the hills will jump. The song of the girls will turn the land into Paradise.” On Sunday, the church resounded with music. After greetings from Elaine Palischak, SHSNEPA Board Chairman, we raised our voices in song and praise to God; Poslaný Je Anjel, and Príde Kristus Spasiteľ Naš. and the Christmas Songs of Joy; čas Radosti, Denšný Deň Sa Radujme, Veselost Velika, and Dnes Sa Kristus Narodil. We ended with Pán s časov, the hymn that was always sung on Na posledny den v roku (the last day of the year), and Veseľ Sa ľudské Strvorenie (the Na Novy Rok, New Year's song.) 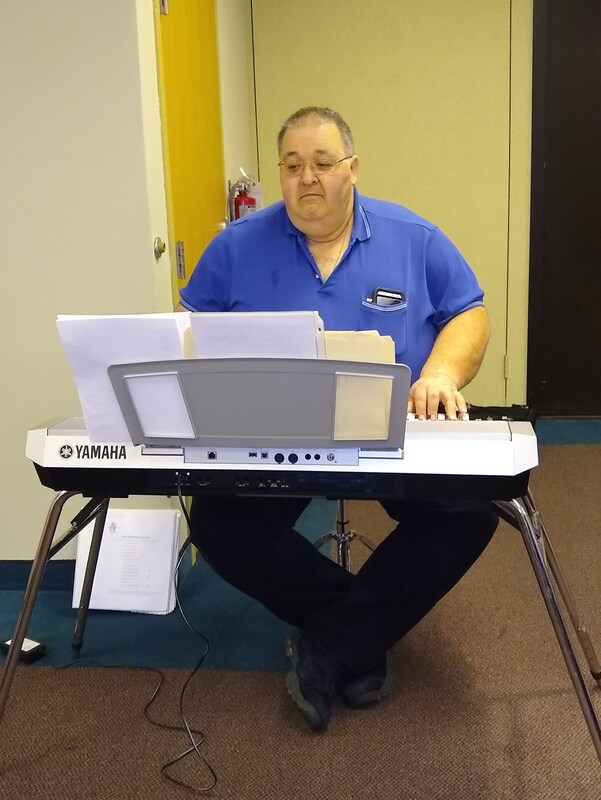 John Simkovich was the accompanist. Our Slovak reception featured a variety of goodies. The afternoon was a wonderful reprieve from the busy days we have in anticipation of Jesus’ Birthday. We’ll hope to do it again next year. We would like to thank everyone involved, who helped, and all who attended. We are always happy when new people attend this event. Vesele Vianoce a Požehnany Nový Rok Prajeme!